Accurate forecasting is key to proper staffing and delivering a high-quality customer experience, so it is important to accurately predict how many representatives your institution will need during a conversion or change event. Unsure of where to start? Below are a few of Harland Clarke’s best practices, honed over many years of successful conversions. Most financial institutions have estimates for their “normal” volume, but it’s easy to underestimate just how many customers will rely on service channels during a change event. For online and mobile banking conversions, anticipating customer needs and expectations is critical to ensuring success. The easiest way to estimate how customers and members will act during a change event is to study their current behavior, or study the existing data. Combining normal behavior with demographics allows you to predict what channels you will need to focus on during the conversion. Is your customer base older and more established with your institution? Then it makes sense to prepare for a spike in in-branch visits and phone calls. Are they younger and more technically savvy? Then you may want to increase your social media and SMS capabilities. By knowing your customers and their use of service channels during normal circumstances, your institution can anticipate how they are likely to respond during special circumstances — and prepare accordingly. Remember – call volumes can more than double during a conversion1 or major change event, so it’s always best to over-prepare, and normally easier to quickly ramp down than up. Give some thought to how shrink and attrition will impact staffing, a common estimate is 30%2 above needed staffing levels. Often, when institutions know a big event is coming, they make the mistake in thinking simply expanding hours will solve the problem. You know the drill: open a little bit earlier, stay open a bit later, and expand contact center availability on the weekends. 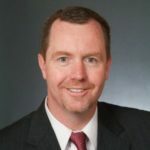 The flaw in this strategy is a good portion of customers are already accustomed to your institution’s standard hours, and extra hours may not see expected volumes. Further, if you expand hours, this will likely stretch the same number of people over more hours, which may lead to short staffing and/or many hours of overtime pay. Some institutions may choose to increase staffing in their contact center with existing branch staff. While this may seem like an obvious approach, it has significant risks. 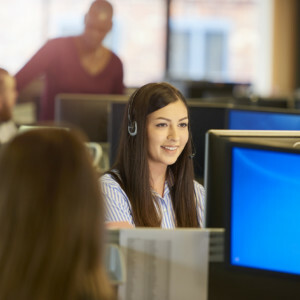 Often, the first choice may not be the best, and with customer experience on the line, it may be best to utilize experienced contact center professionals. 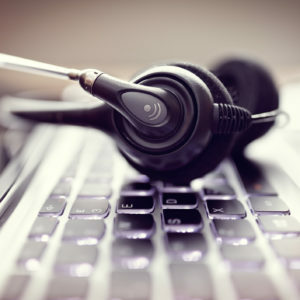 Particularly during an inbound event, when customers are bound to have a greater number of questions, and more complicated questions, they are likely to turn to the contact center first to find answers. This leads to not only an increase in overall call volume, but also longer call duration. Consider this – most institutions with general customer service calls will see average handle times in the 2- to 4-minute range. During a change event, these times can increase to 7-9 minutes, more than double! Also keep in mind the increase in call hold times these events can bring. If you’re expecting 50% more calls, but those calls are coming in at much longer average handle time, your institution will be in a lot of trouble if you only staff up by 50%. Without enough people to handle the volume and increase in call time, institutions could find themselves woefully understaffed. Most contact centers run with representative-to-supervisor ratios of somewhere from 12:1 to 18:1. When it comes to a big inbound event, both the additional representatives and existing staff will be much busier than usual, which means the supervisors will also be very busy. When forecasting supervisory needs during an inbound event, lower the ratio of representatives-to-supervisors in the contact center. Having inexperienced or new representatives can make it even tougher on supervisors at a point in time when they’re really needing extra experience and expertise to deal with questions and escalations on calls. >>Click here to download Harland Clarke’s “Ten Questions to Ask Before Outsourcing Your Contact Center” checklist. Did you know that 30 percent of your online banking users will call during a conversion? Or that, depending on the number of online users your financial institution has, your call volume could double? Just because your contact center works well now doesn’t mean it will continue to operate smoothly when there’s a new enterprise initiative launching, like a conversion.